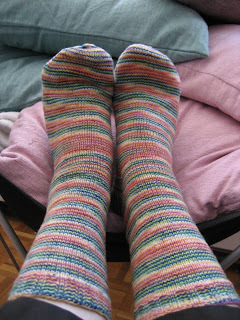 Finally, another pair of finished socks! Socks always take me months and months to knit since I really only work on them during the commute to school. This particular pair was started back in October. Yarn: Posh Yarn's Lucia (30% cashmere/70% merino) in the Cosmopolitan colourway. 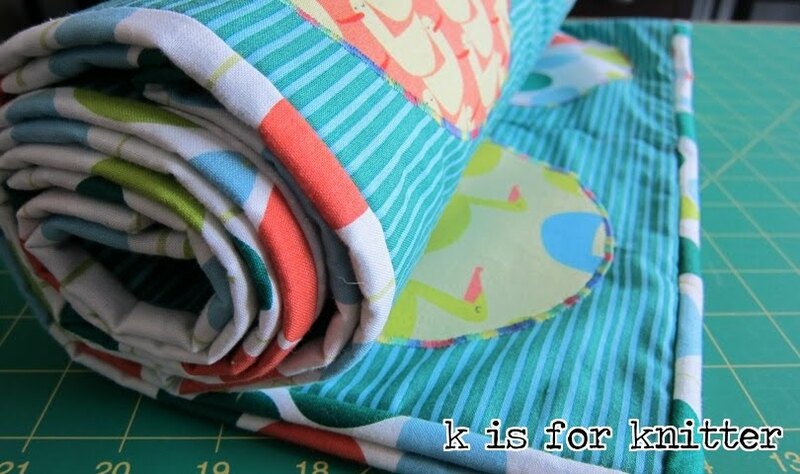 Size: To fit a woman's size seven shoe with a 6 1/4" cuff. 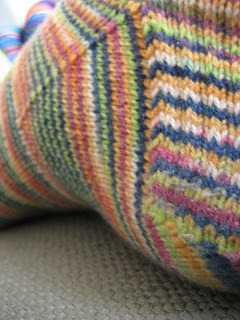 A close-up of the gusset. The colours are truest in this photo. This yarn is amazing! It is so soft and was a breeze to knit. 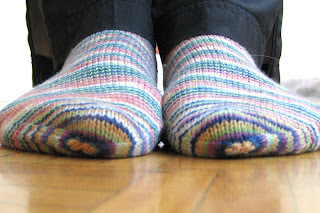 The socks are very warm, cushy and comfortable. I will definitely use this yarn again despite being a little concerned with how well these socks will wear as they have already begun to pill. Perhaps my favourite thing about these socks is that unintentionally, the toes match up perfectly. Now if I could only finish some schoolwork . . .
Posted by Amanda at 12:45 p.m.